Every day we receive millions of emails by so many companies, out of which most of them find their place in Spam and the rest in the unopened folder But, what if tell you that Email marketing if done right can create customers for life. Hard to believe? Well, read on and by the end, you will certainly believe me. 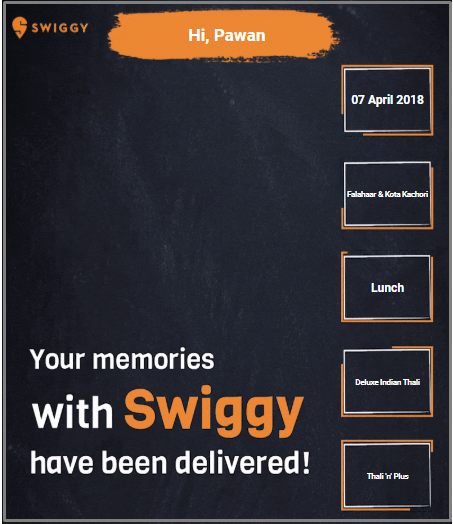 Swiggy has always been in the gossips for its creative marketing campaigns with its latest email marketing campaign, it has surely set the standards high. The company used its instinct and decided on the subject line for the mail as “Ooh! You’ve got coupons!” along with a personalized CTA, urging users to just check the discount coupons they’ve received. The subject line of the mail was good at creating a sense of curiosity among the users (which is the main motive of the campaign). Though it did compel users to read the email, it did not disclose much about the coupon details. 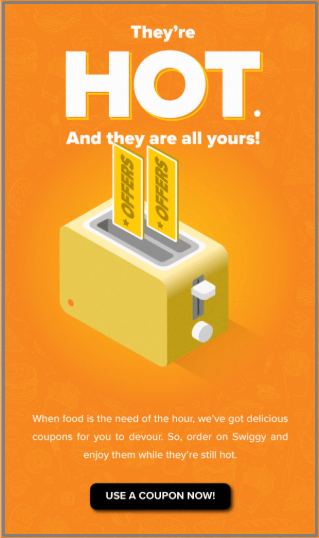 Swiggy achieved a straight 25% open rate and 7% Click-through-rate (CTR) via this campaign, whereas the average rate across its industry genre is 1.5% at most. Netcore’s Smartech is an AI-powered marketing automation & analytics suite, which has ensured that 955 of the emails of Swiggy landed up in the user’s primary inbox rather than in Spam or other mail folders. The Swiggy and Netcore collaboration was a very smart move on the former’s side. Smartech has been able to raise the Swiggy’s user engagement by 1.5x and unique open rates by over 2x. It also ensured twice click rates in just 6 months. Email marketing in today’s market is getting stronger with every passing day. All you need for it is the right messaging and a good AI-based delivery system. Your email must be striking enough to attract users to check the mail and increase user engagement. 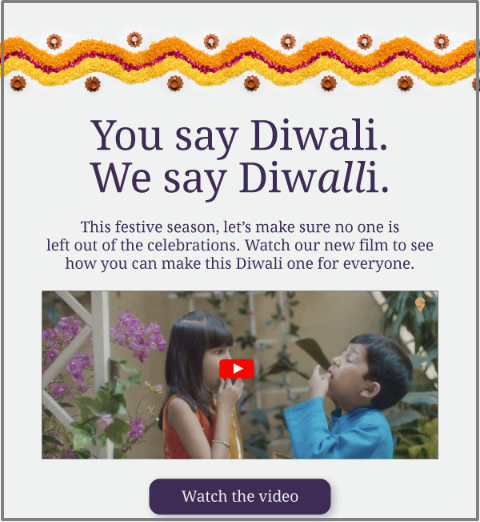 So the next time you think, email marketing doesn’t work that great, think twice!